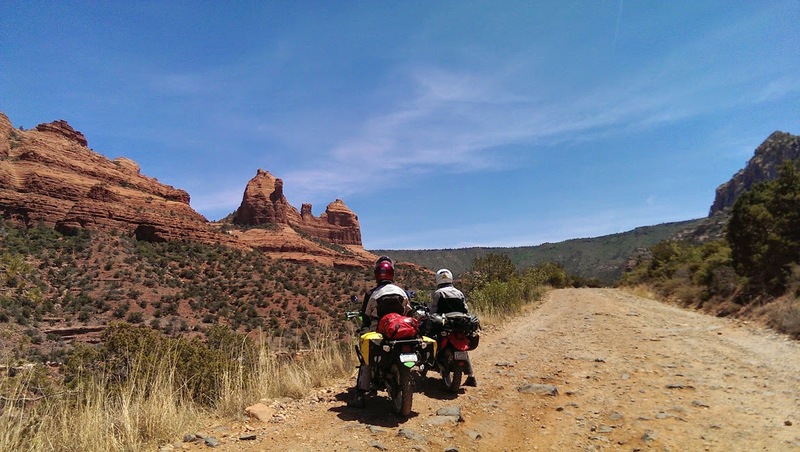 This weekend the Howlers Vintage Motorcycle Club made an expedition to the Overland Expo outside of Flagstaff at Mormon Lake. 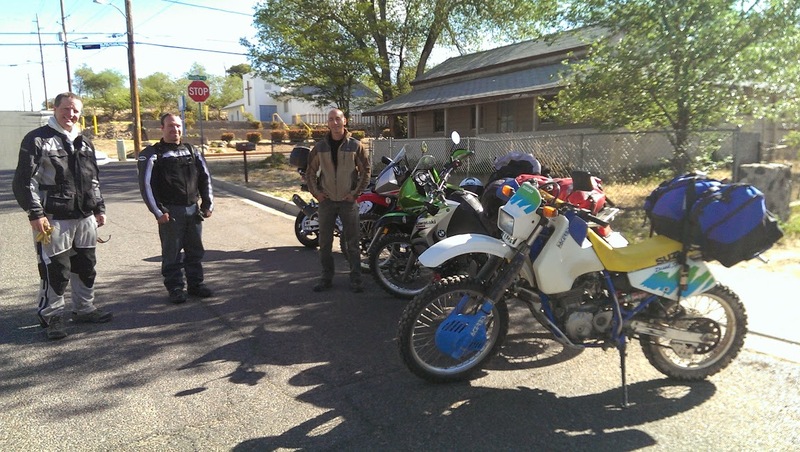 We started off from Prescott at 8:30am and stopped for lunch in Cottonwood, Az. 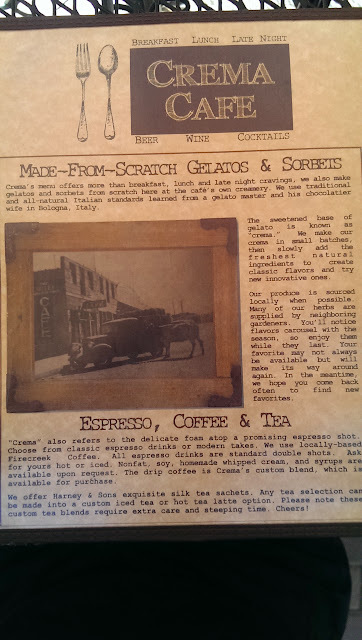 I highly recommend this place! After lunch, we decided to traverse Schnebly Hill Trail. We went two miles up some very rocky terrain and my left leg gave out. We decided to stop for a break. It was hot and one of the guys was on his street bike, so we decided to turn around. 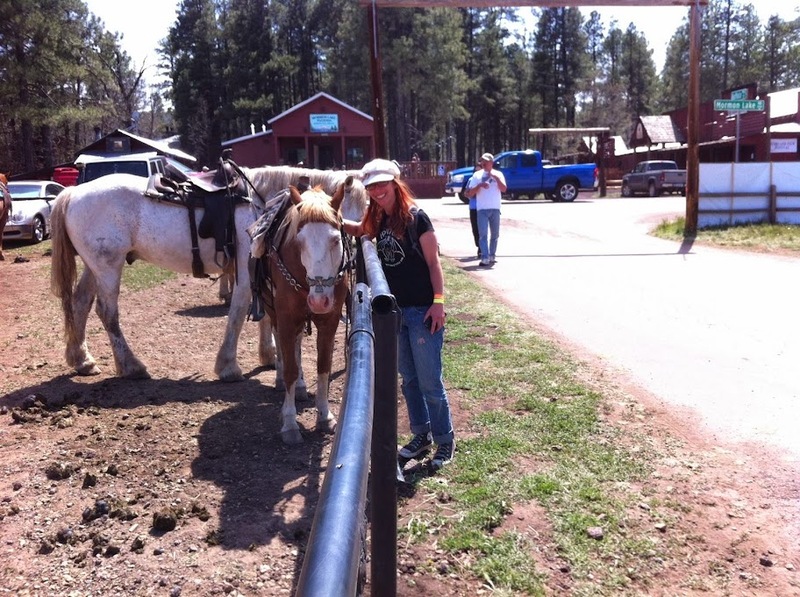 and continued on up lovely Oak Creek Canyon road instead. 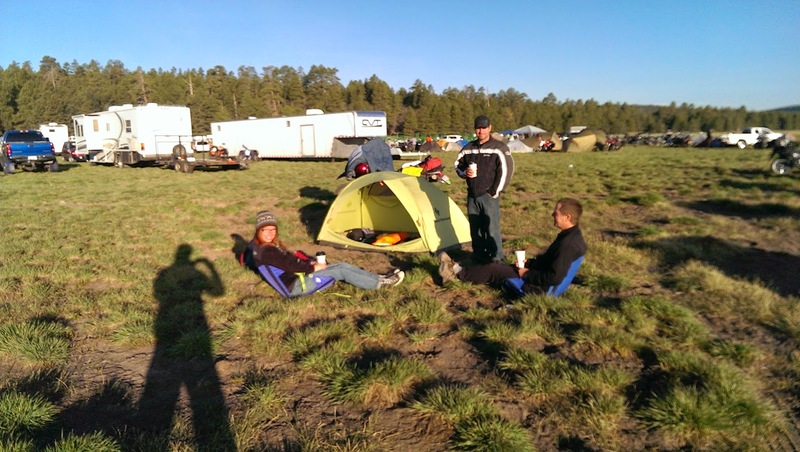 Once we got to the Expo at Mormon Lake, we set up camp. I have no idea what this thing is, but someone does some crazy overlanding in it. Before I was born, my folks had a Willys pick-up truck that my dad built a camper on the back. There were a lot of doggies traveling with their people, and plenty of water and treats all over the camp. My folks were there with their lovely restored Avion cab-over camper and treated us to a dinner of home-made Indian food. In the morning we went searching for coffee. There was a converted ambulance coffee truck close to our campsite! They even had soy milk for me! We spent some time just hanging out at our campsite. This guy and his dog enjoyed the warm afternoon with naps. There were a number of characters at the Expo, including this fellow who was riding around with his kitten in a tank bag. The kitty was un-phased and seemed to enjoy the ride. Nested among all the shiny adventure BMW’s, KTM’s, and new Urals, were some fun vintage bikes. 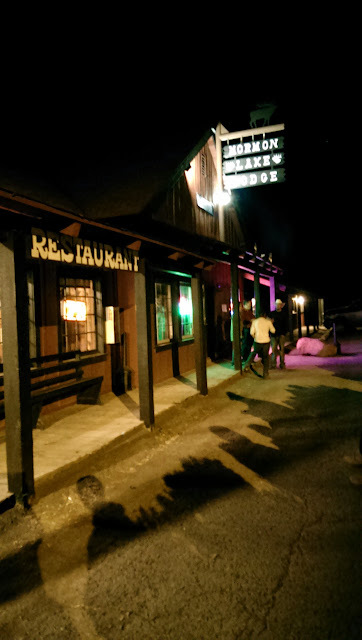 We spent the last evening hanging out at the Mormon Lake Lodge restaurant and bar. 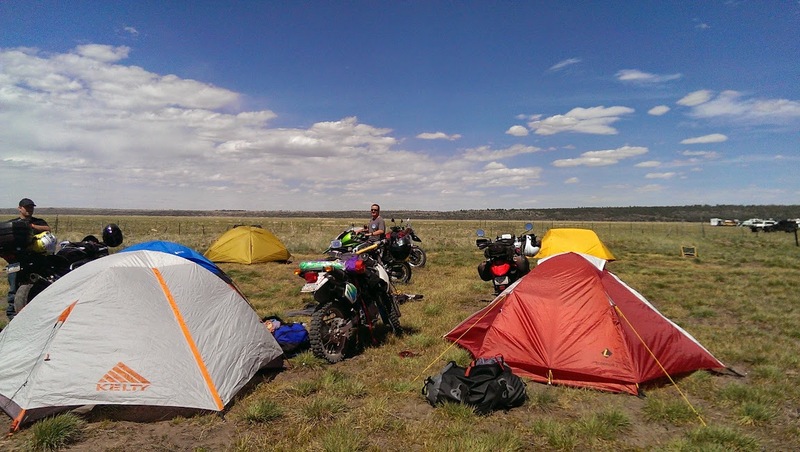 This entry was posted in DR350, fun, geekery, Howlers VMC, motoring, passions, road trip, southwest and tagged camping, DR350, fun, Howlers VMC, motorcycle, Overland Expo, overlander, road trip by hoyden. Bookmark the permalink. 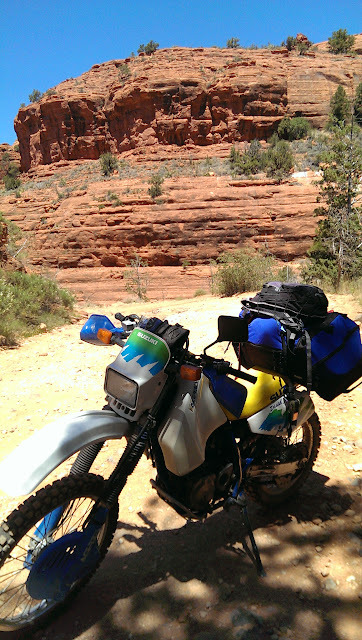 Man I am so bummed I missed out on Overland Expo this year. Going to have to go next year. I’ll have to save my pennies so I can buy some extra toys when I go! Haha, glad you had a great time!